Bodies made of Styrofoam balls, heads wood balls, arms and legs fabric. Santa's suit trimmed in fur with large vinyl belt and buckle. Beard and hair is yarn. Apron is adorned with ruffles, lace, ribbon and buttons. Includes instructions for stands. Easy to make. 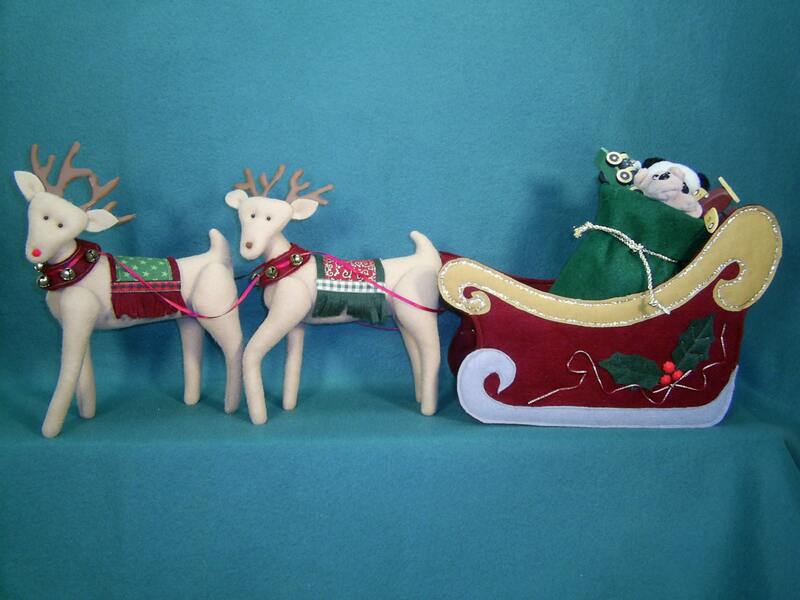 Great for Christmas craft fairs, Christmas gifts or decorate your home. 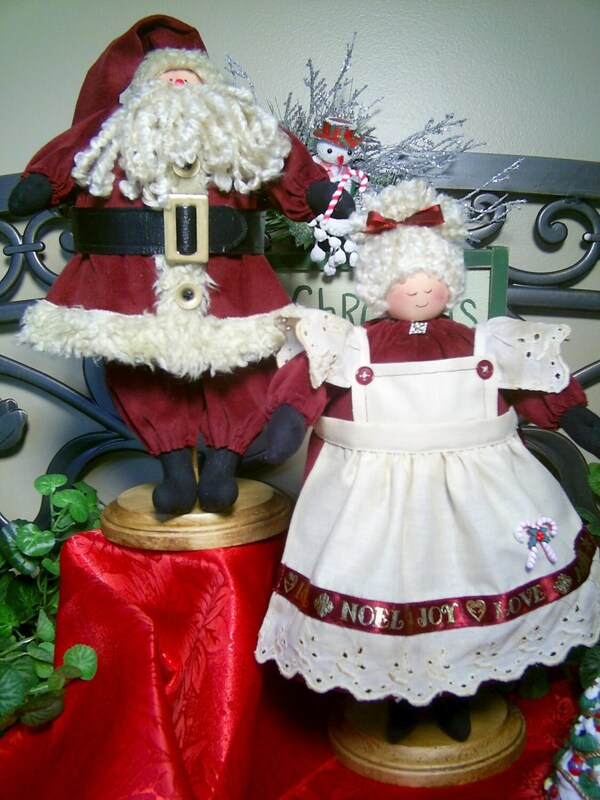 Instant PDF download includes easy to follow instructions, patterns for both Santa & Mrs. Claus and a complete suggested materials list. Finished doll sets made by you personally and may be sold on the internet and at local craft shows.